The guilt, disillusionment, shame, and pain is etched on their faces. To a person, they are incredulous that they once believed in the more offbeat aspects of the religion — including the idea that prehistoric spirits inhabited their bodies. And several speak of a kind of willful suppression of their better judgment to avoid the possibility that, at best, they wasted their time and, at worst, committed terrible transgressions against others, including their own family members, in the name of their beliefs. This is but one compelling vignette in the fascinating documentary from Oscar- and Emmy-winning director Alex Gibney (“Taxi to the Dark Side,” “Mea Maxima Culpa: Silence in the House of God”), which premiered on television Sunday at 8 p.m. on HBO. (The two-hour film debuted at the Sundance Film Festival in January and recently had a limited theatrical release.) The film combines interviews with former members, reenactments, and footage of Scientology events. It also includes archival interviews with celebrity Church of Scientology members and founder L. Ron Hubbard himself; no one currently involved in the church would speak to Gibney for his film. Scientology has long been a subject of interest to many — if you want to go down an Internet rabbit hole of its critics and defenders, just Google “Scientology” and “cult.” That’s thanks to Hubbard’s pre-Scientology career as a prolific science fiction writer, de facto spokespeople like John Travolta and Tom Cruise — both of whom figure into the film — and to outspoken former members denouncing the religion. 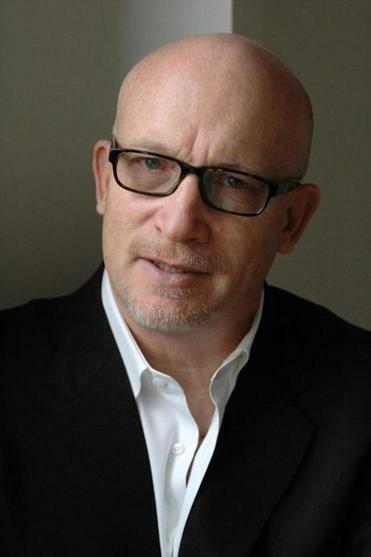 These include Oscar-winning director Paul Haggis (“Crash”), who details his journey from true believer to apostate in the film. 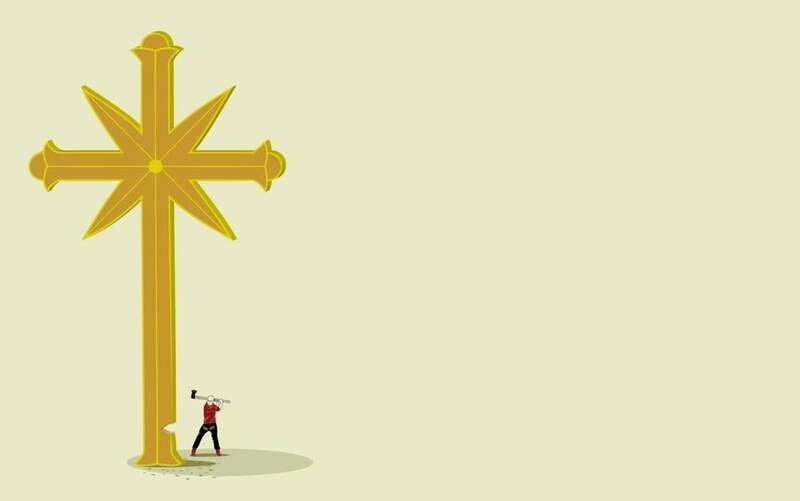 Is Scientology a religion that leads its followers to higher planes of spiritual understanding? Or is it a long con meant to bilk people out of their money and a tax scam perpetrated by Hubbard that devolved even further into a toxic corporation after his death? Could it be all of these? Truth, as the cliché goes, is stranger than fiction — something the Robert Durst story has reinforced. No actor could quite re-create Durst’s ice-cold eyes. The former members who speak out in the film are conflicted in some ways, saying that they benefited from the church’s teachings but ultimately couldn’t abide some of it practices. And when they chronicle what they claim were routine occurrences inside the organization — physical and mental abuse by leader David Miscavige, a harsh prison camp for the outspoken, separation of parents from children, retaliatory bullying of former members, even espionage, including the tapping of Cruise ex-wife Nicole Kidman’s phone — Gibney’s film paints a lurid picture indeed. Gibney also delves into the IRS’s decision to grant the church tax-exempt status. The film draws a connection between that decision and a Miscavige-led campaign to file 2,400 nuisance lawsuits against the IRS and individual agents. The film implies the agency simply caved, forgiving the church its $1 billion tax debt. When Scientologists celebrated that decision, the victory party included fireworks. 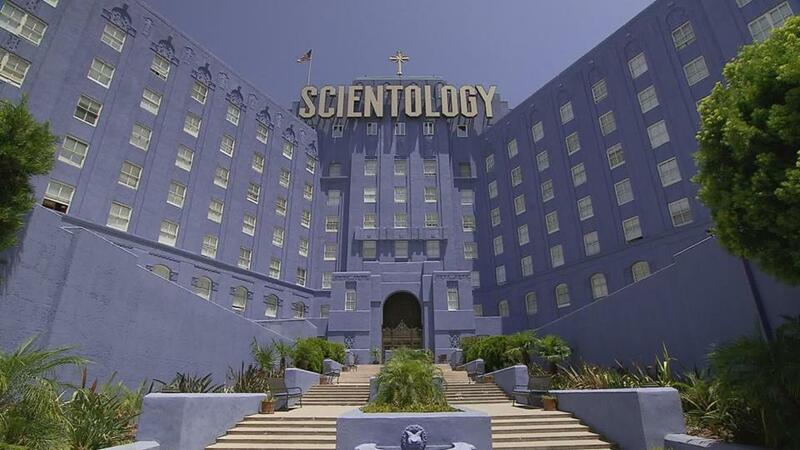 A still from “Going Clear,” the HBO documentary in which Alex Gibney examines the Church of Scientology. For those who have read Wright’s book, there isn’t much new here, but Gibney skillfully weaves the stories and visuals, particularly an extended passage about Cruise, into an engrossing narrative. What the film doesn’t have is the voices of current members, beyond old footage of people like Travolta extolling the church’s virtues. Gibney notes at the end of the film that he reached out to several people, including Cruise, Travolta, and Miscavige, and either got no response or was declined an interview. The Church of Scientology disputes that claim. Who knows if viewers would feel differently had Gibney’s film included responses from Scientology’s defenders. But by focusing on the powerful and damning stories of the church’s most destructive practices, including the forced “disconnection” of members from family and friends, Gibney has made a forceful and memorable case. Sarah Rodman can be reached at srodman@globe.com. Follow her on Twitter @GlobeRodman.